The Bay Area Transportation Authority has added five propane fueled vehicles to its fleet. BATA’s new propane powered buses have multiple benefits that will help make its vehicle fleet more environmentally friendly and save on fuel and maintenance costs in the long run. The Flint, Mich., Mass Transportation Agency (Flint MTA) has purchased 16 Blue Bird propane autogas buses in what the agency is calling the largest rollout of Blue Bird Propane Visions for commercial use. 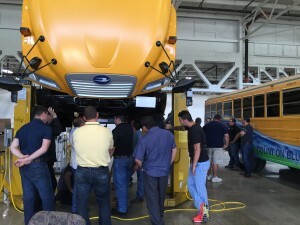 Last year, we began development of a gasoline fuel system for the Blue Bird Vision school bus. Since receiving CARB certification for this application, we are happy to announce that shipment of gasoline buses has begun.. When threatened, sheep will group together because they can’t defend themselves very well. A lone sheep is more likely to be attacked. This “herd mentality” might make sheep seem dull-witted and meek, but actually it’s their best defense. The yellow Leander ISD school buses are going green. Twenty-four new buses, fueled by propane autogas, are a part of the bus lineup for the 2016-17 school year. The district retired 20 diesel buses in exchange for 20 new emission-reducing models in early August. Almost 8,000 ROUSH CleanTech-equipped Blue Bird propane buses are on the roads today. To ensure that each and every bus and dealer is properly supported, we’ve hired new field service engineers, brought another trainer on board, created a dedicated customer support department, and added new tools. Our team is here to assist and teach technicians how to service and repair propane-powered buses using web-based training programs, repair videos, onsite training and a toll-free technical hotline. Each of our field service engineers can explain the maintenance requirements and offer troubleshooting tips for our propane autogas fuel systems. This summer, our trainers confirmed that every service location listed on our dealer locator is up to speed on the latest technology and feels comfortable performing diagnostics and warranty work. In addition, we’ve added a dedicated customer support group that is specifically targeted at making sure customers are happier, better taken care of, communicated with more often and have shorter down time when service issues occur. We’ve added new tools to enhance our data collection abilities and allow us to flash smart relay modules (SRMs) in the field. These new tools will significantly decrease the time required to address issues in the field. Our team’s mission is to help you diagnose problems and get your school buses back on the road as quickly as possible. Our expanded service team and updated tools will make that happen. Give us a call today at 800.59.ROUSH if you or your customer have a service-related question. Grant joined ROUSH CleanTech in July 2016 as a field service engineer. Grant is an Automotive Service Excellence (ASE) and state certified technician. Previously, he worked at the Ford Technical Assistance Center in the transmission group. While in this position, he assisted technicians with automatic and manual transmission, driveline vibration, four-wheel drive and rear differential concerns. Grant also assisted technicians from vehicle drop-off at the dealership to delivery back to the customer with all concerns corrected. Grant earned an associate’s degree in Applied Service Management from Wyotech in Blairsville, Pennsylvania. He lives in Livonia, Michigan, where he likes to work in his shop, powder coating and modifying cars, and spend time with his daughter. 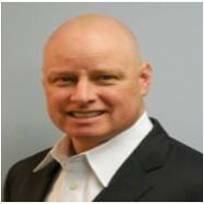 Tom has worked for Roush since February 2011, and moved to ROUSH CleanTech in August 2016. As a field service engineer, his primary duties include helping customers resolve their cases through online, email or phone communications, or by visiting customers onsite. For two decades, Tom has worked in the automotive industry as a technician. His primary focus has been on Ford vehicles. He brings a skillset in wiring, problem solving technical / mechanical issues on vehicles, prototype work, automotive manufacturing and data acquisition. He holds an associate’s degree in Computer Science from ITT-Tech. Currently, Tom is working toward a bachelor’s degree. Tom enjoys working on classic cars, spending time with his family and friends, and traveling to Boston to visit family. He and his family live in Howell, Michigan. Jared joined ROUSH CleanTech in August 2016 as an automotive trainer. He trains service centers and fleets on ROUSH CleanTech vehicle service and maintenance. Before joining ROUSH CleanTech, Jared was a veteran services coordinator, where he trained veterans on benefits earned from military service. He was also a secondary education teacher and taught eighth grade, and was a motor vehicle driver / heavy weapons instructor for the Marine Corps. Jared earned a Bachelor’s of Science degree in Secondary Education from Wayne State University. Living in Livonia, Michigan, his three main areas of interest are dirt bikes/off-roading, family and football. “Who will service the Ford engine and transmission?” is a common question from transportation directors considering propane. We don’t want service questions to hinder your bus sales, so we’ve put together some proven tips to help you grow the local Ford service network. First, determine a Ford service location strategically located near one of your customers or customer prospects considering propane. Check their website, and find the phone number to the service department. Gather the basics about your customer in preparation for the call; the name of the school district or contractor you’re working with; the number of propane buses in that fleet; the total fleet size (for potential future service needs); and whether the buses are Type C or Type A. Next, determine what kind of service you’re asking them to perform. Do you need a Ford engine and transmission service location? Do you need someone to service the ROUSH CleanTech fuel system? Both? Now it’s time to pick up the phone and call the service manager. Usually it helps to explain why you’re calling to whomever answers the phone in the service department. That way, when you ask to speak to the service manager, they’ll actually send you to them instead of someone else. Lead with ‘Ford’ in your message, not propane. Explain that a customer in your area has Ford-powered Blue Bird buses, equipped with ROUSH CleanTech propane fuel systems on them, and you’d like to set the dealership up to perform maintenance work on (choose all that apply) the Ford engine, the Ford transmission, and/or the ROUSH CleanTech propane fuel system. Explain that it’s a standard Ford 6.8L V10 engine and 6R140 transmission, the same engine and transmission that’s found in the Ford F-450, F-550, F-650, F-750, F-53 and F-59. What does it cost for me to be a service center? Answer: For most Ford dealers, it costs little to nothing. 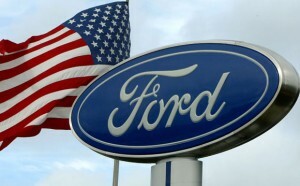 To service the Ford engine and transmission, they’re likely already set up with Ford. To service the ROUSH CleanTech fuel system, there is no cost to be a part of the program or for training. The only small cost a service center may incur is about $100 for special tools to work on the ROUSH CleanTech fuel system. You can find the list of special tools here. Do we need to make facility modifications to our service center to work on propane vehicles? None of my technicians are trained to service propane vehicles. Answer: No problem at all. ROUSH CleanTech offers web-based training for working on the propane fuel system at no cost. It takes approximately 2-3 hours to complete the basic training portion, which is the minimum requirement to work on our propane fuel systems. You can register for web-based training online, and upon completion, you can print a certificate. Ford offers training for the engine and transmission, but it’s likely that the Ford dealer’s service team is already trained. Answer: ROUSH CleanTech covers the fuel system, Ford covers the engine and transmission, and Blue Bird covers the body and wiring. You can find a breakdown of coverage by component on pages 9-11 in our Limited Warranty and Policy Manual. How do we get reimbursed for the work we perform? 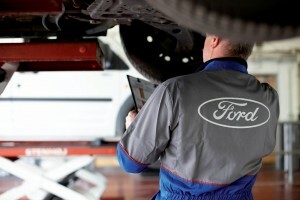 Answer: For Ford warranty work, the Ford dealer will process a claim like they normally would. Ford ROUSH CleanTech warranty work, ROUSH has a warranty system that is similar to Ford’s, where it tracks all your warranty claims and they pay you directly. ROUSH CleanTech matches your Ford warranty labor rate and, because they know it’s a new fuel that you’re not always familiar working with, their warranty times are typically pretty generous. You can find ROUSH CleanTech’s service and labor times online. After your conversation, point them toward our website, specifically the service section (ROUSHcleantech.com/service), so they can do their own research. If they still want to think about it after that, send them a follow-up email with both the ROUSH CleanTech and Blue Bird service manuals. Once you get a verbal maybe or yes from the service manager, send an email that includes important information, like the registration link for web-based training, special service tools information, and online warranty system registration. Include our customer support line 800.59.ROUSH. We answer anytime between 8 a.m. and 8 p.m. Eastern. If they agree to work on the Ford engine and transmission, congratulations! You’ve helped grow the Ford service network. If they register at both links, and two technicians and one admin-level person complete the training, they’ll be considered a ROUSH CleanTech service location. Then we’ll add them to our dealer locator at no cost. 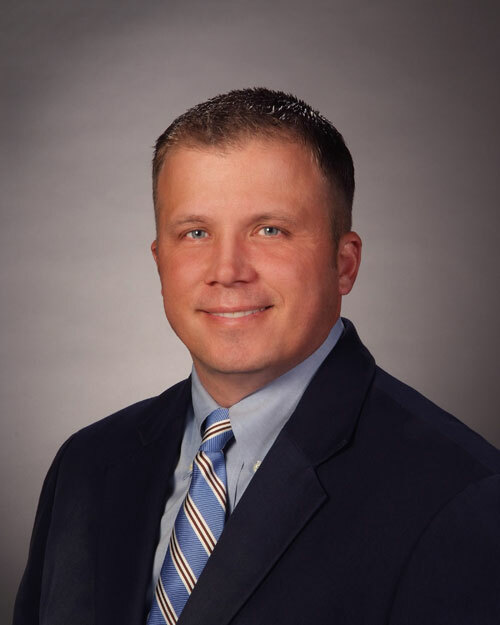 If you are having a tough time getting the Ford dealer on board, you can connect them with Brian Moss from Ford Component Sales. He can walk the dealership through the warranty process from Ford’s end on how to submit claims for engines and transmissions. Or contact your ROUSH CleanTech sales representative. Hello! I’m Travis Wolf, the new customer support manager at ROUSH CleanTech. My job, and the mission of the customer support department, is to drive an organizational commitment to world-class customer service, which will improve customer satisfaction, customer retention. Customer support is working toward being your ‘start-to-finish’ point of contact. We know we aren’t there yet, but we’re committed to delivering a world-class customer experience. This means starting with improved communication. We’ll ensure that the phones are answered, and that queries are being addressed immediately or routed to the correct team member for additional support. I’m already rolling out new ways of measuring ROUSH CleanTech’s response time and availability to you and your customers, and I’m committed to driving improvement in those areas. You’ll see better accessibility on the phones, quicker return phone calls and e-mails, and ultimately a better experience for you and your customers. As your central point of contact, ROUSH CleanTech customer support will facilitate communication between you and your entire organization. Call us today at 800.59.ROUSH, and get to know more about our department. As the customer support manager for ROUSH CleanTech, Travis is an advocate for customers to ensure that the company remains responsive and supportive, and evolves to meet their needs. 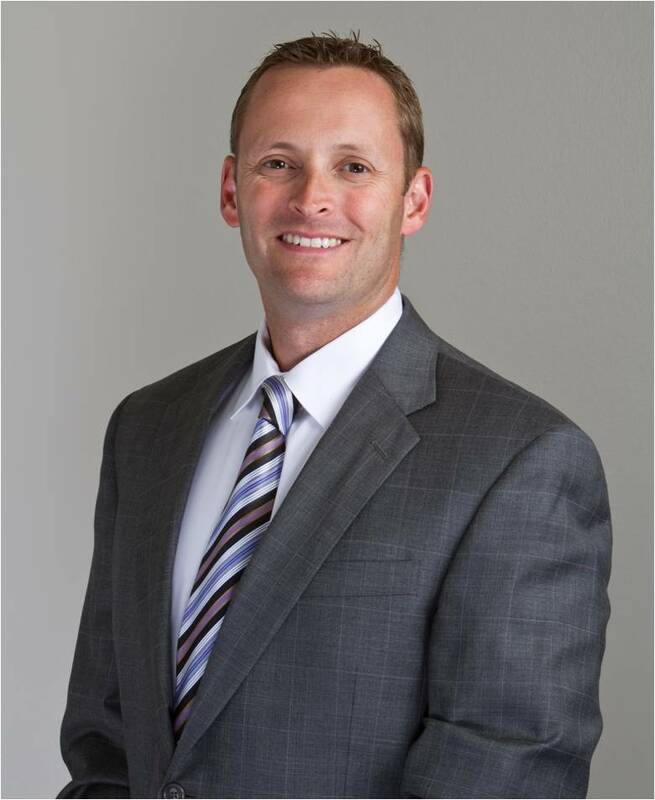 He is focused on finding process improvements that make the business run more smoothly. Travis’ goal is to provide an enjoyable customer experience while driving constant improvement. Travis has worked in customer service for more than two decades, dedicating his career to building and strengthening customer relationships. For the past 10 years, he managed a busy contact center in the publishing industry, supporting nearly 3,500 retail stores across the U.S. and Canada. Travis believes that the principals of excellent customer service are universal, and can be applied in any industry. Travis lives with his wife and stepson in Hazel Park, Michigan, a small suburb outside of Detroit. He’s an avid outdoorsman, and enjoys exploring the beautiful state of Michigan as well as the Adirondack wilderness in his home state of New York. When he’s not outside, you can find him watching an ice hockey game or tinkering with home projects in his workshop. Travis joined ROUSH CleanTech in August 2016. Advances in fleet management are being driven by routing and scheduling software linked to in-cab vehicle tracking equipment that streamlines the delivery process. These advances can help cut costs and better monitor delivery of products in a market where on-time delivery is crucial.